The Central Board of Secondary Education is set to introduce Yoga, Early Childhood Care Education, and Artificial Intelligence as new subjects in the upcoming school year’s school curriculum. The board also decided to introduce subjects like early childhood education and yoga to students as elective subjects that are in the senior secondary level. As per the board’s norms, a skill subject in the secondary level can be offered as an additional 6th subject along with the 5 existing subjects that are compulsory. If the student fails in any of the 3 elective subjects, which are social science, science, and math, then it will be replaced by 1 skill subject that will be offered as a sixth subject, and the result of the Class 10 is going to be computed based on the best 5 subjects. But, if a student wants to reappear in the failed subject, the student can appear along with those students who are going to take the compartment exam for the subject. 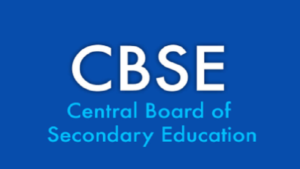 The Central Board of Secondary Education also advised schools under the board to offer one or more skill-based subjects as an elective subject out of the 42 subjects that are currently being offered.